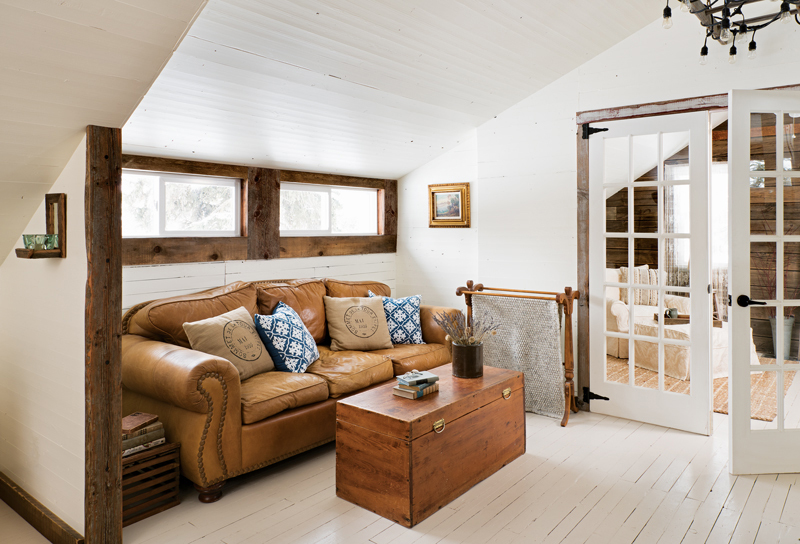 Although they were eager for the project, neither of them had ever renovated a cabin or any kind of home before, and the process provided a few challenges. 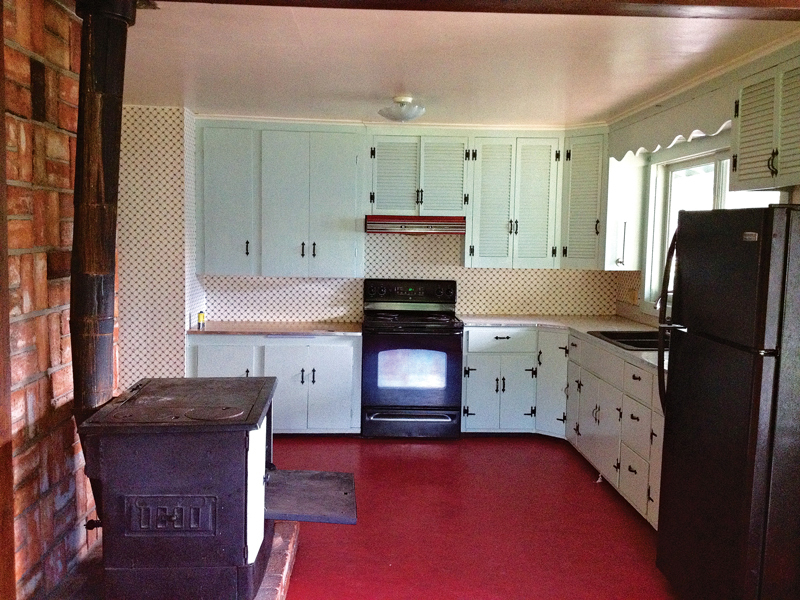 “We gutted the house, and then even gutted the guts!” Felesha recalls. 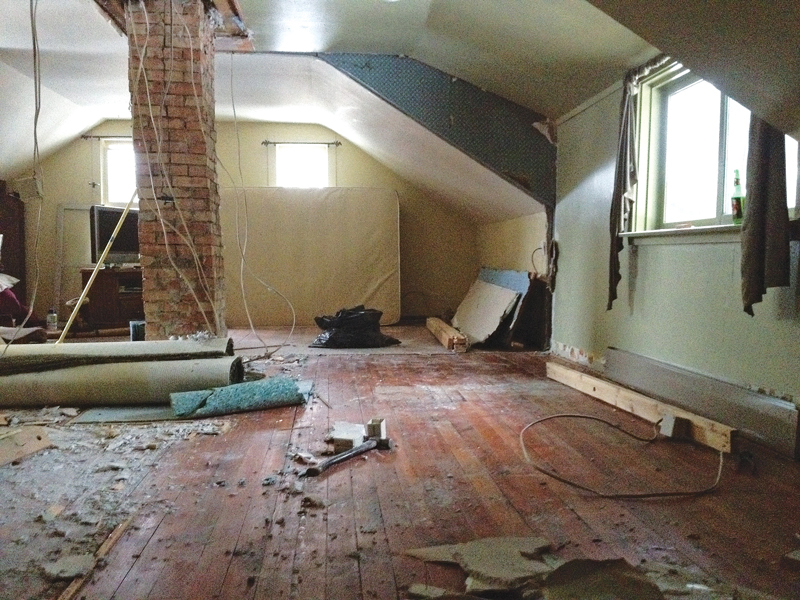 “Every time we pulled down a wall, we discovered another problem behind that problem.” They ended up replacing all of the house’s innards, including wiring and plumbing, while reconfiguring floor plans, moving walls, cutting doors, adding bathrooms, demolishing the kitchen and any number of other mammoth tasks. Felesha admits that she’s not sure what it was about the cabin that spoke to her first, given its unpromising appearance. Everything had been remodeled in the 1970s, and it showed – from the wood paneling to the garish wallpaper to the turquoise tub. 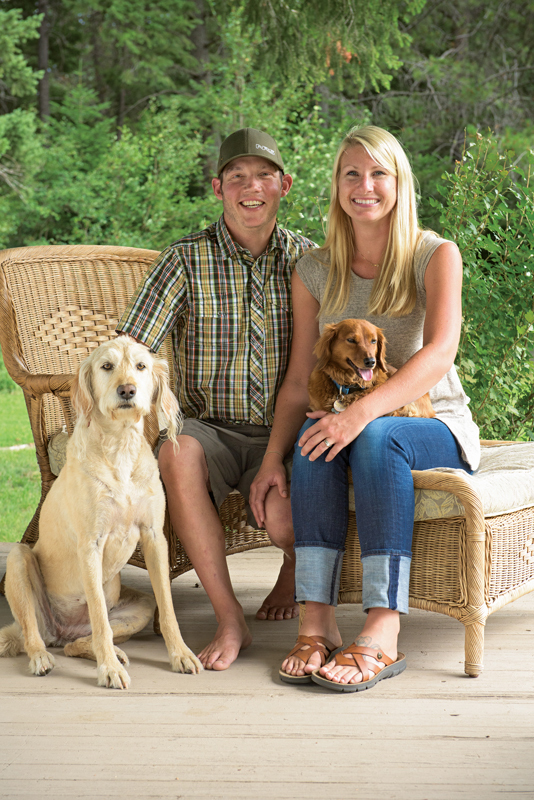 But, Felesha says, “There was something about it – maybe the wraparound porch – that felt like home, as soon as I toured it.” From Ohio originally, the Montana transplant was looking for a place where she and Jeremiah could live full time at some point, with room for additional family as well, and the fact that it wasn’t a traditional Montana cabin resonated with her. Despite early misgivings, the McAfees stuck with it, and a year and a half later their sweat equity had paid off. The result is a 1,400-square-foot, two-bedroom, two-bath home that is as charming as it is comfortable. 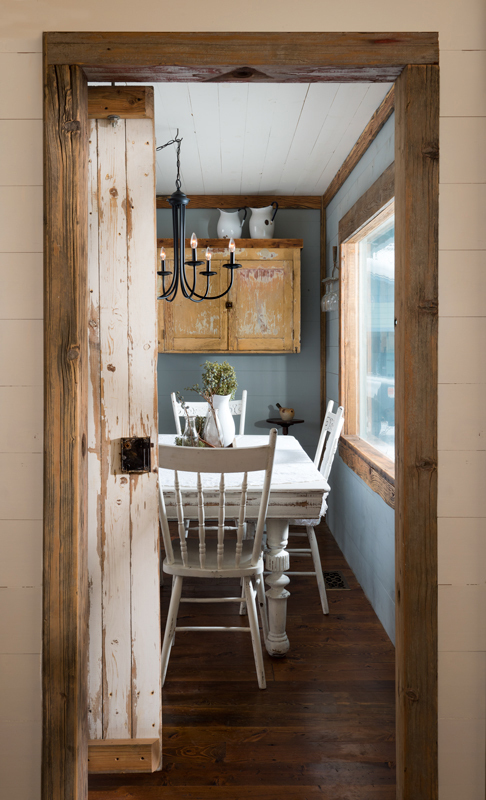 The aesthetic is the perfect amalgamation of Midwest farmhouse and western rustic: Wide floorboards pair perfectly with the white-painted shiplap paneling that plays a prominent role throughout the house. 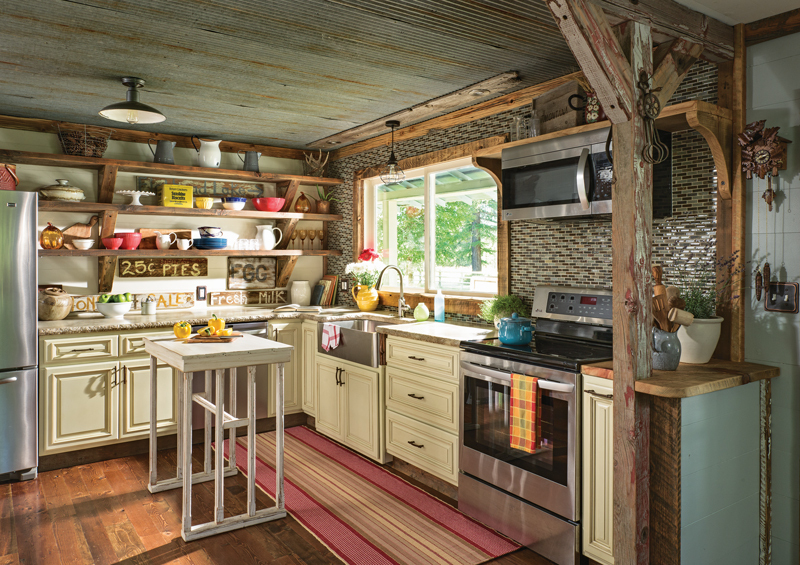 A reclaimed tin ceiling in the kitchen highlights the same earth-tones as the delicate tiled backsplash. An old ladder hangs above a doorway, festooned with lights. 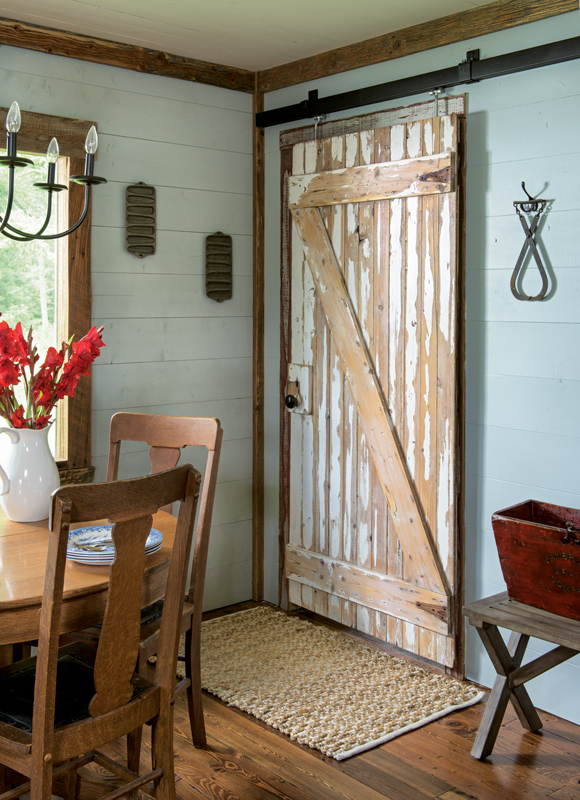 A built-in cupboard with screen doors is a clever homage to the pie-safe of a bygone era. 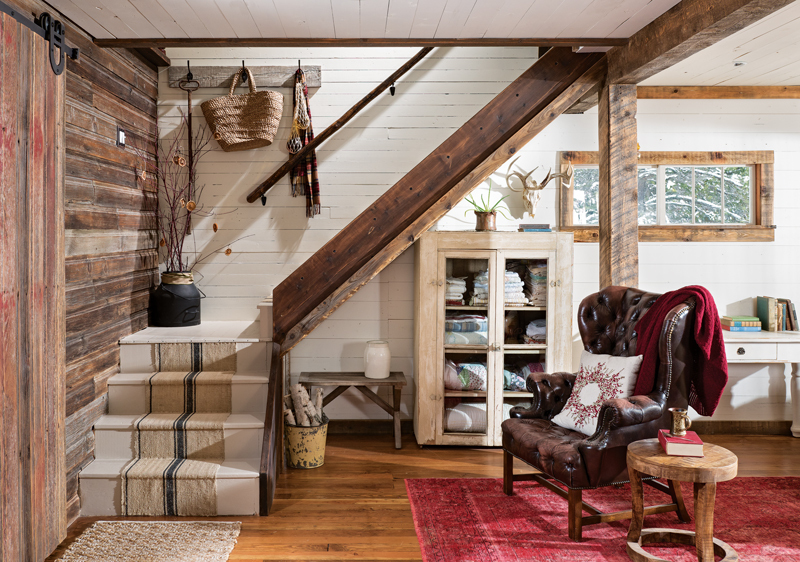 Understated beams and reclaimed barn wood lend an air of history and warmth and represent a true labor of love. 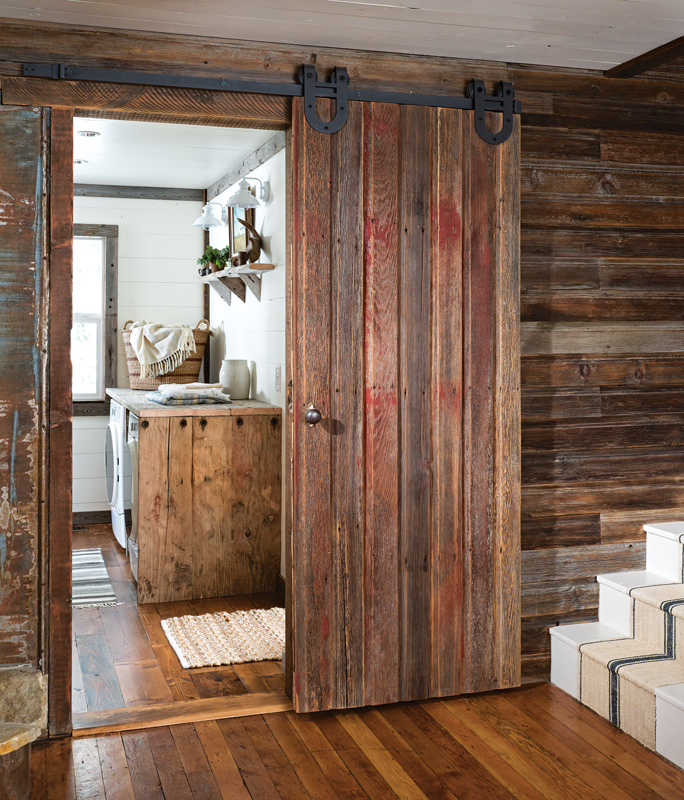 “We were lucky enough that Jeremiah was able to barter labor for materials with a company here that salvages old grain elevators and barns,” says Felesha, referring to Wild Wood Eccentrics, a reclaimed-wood business based in Columbia Falls, Mont. 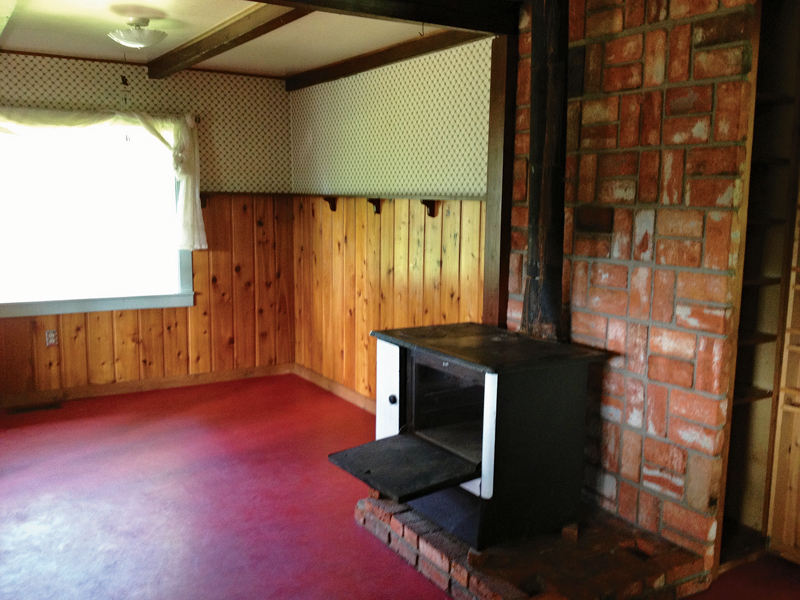 “He’d work all day, then go and work more for them,” she recalls, “and all that material became our trim, our floors, our barn doors.” With an eye toward maintaining an authentic, rustic feel, Felesha combed antique stores and Craigslist for furnishings and other finishing touches. 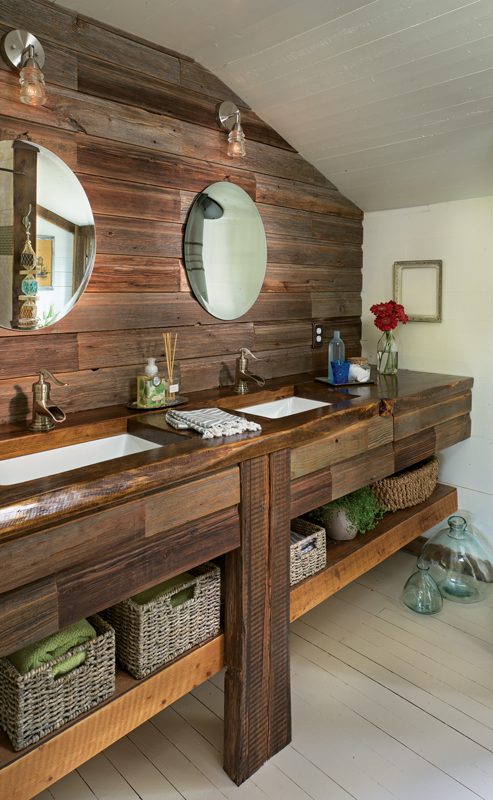 An old cabinet was repurposed as a vanity, after having a hole cut in the top to accommodate a simple, round sink. Other accessories came from consignment shops or from her family back in Ohio. 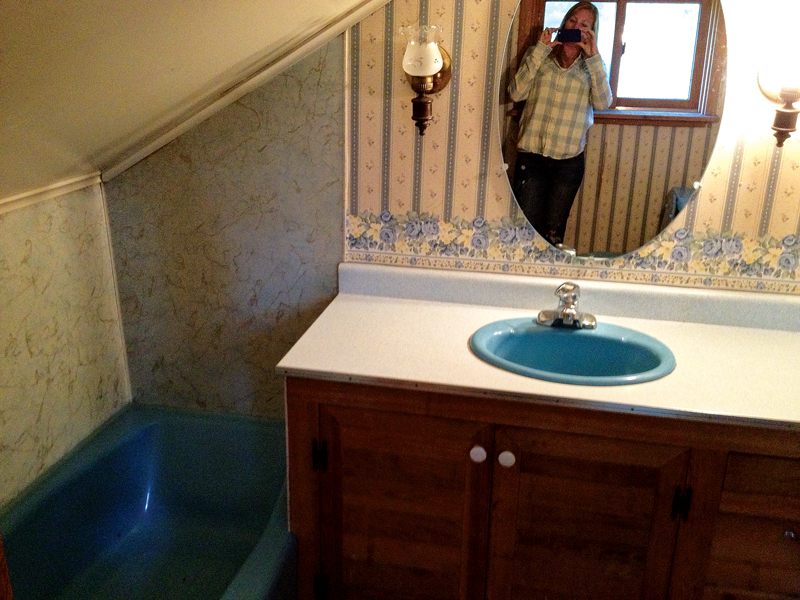 Her favorite find was the cast-iron pedestal tub that now plays a starring role in their first-floor bathroom. “It’s so beautiful, and we only paid a few hundred bucks. 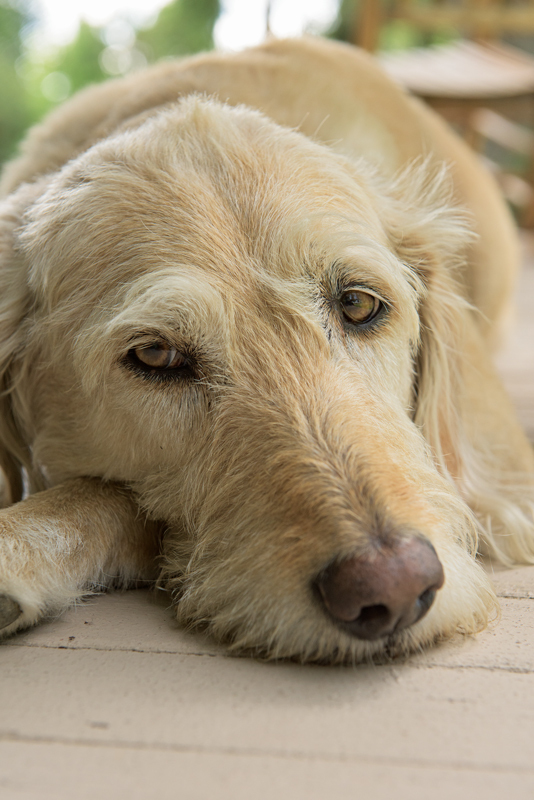 It came out of an old home in Kalispell, which I love – from one farmhouse to another,” Felesha remembers. 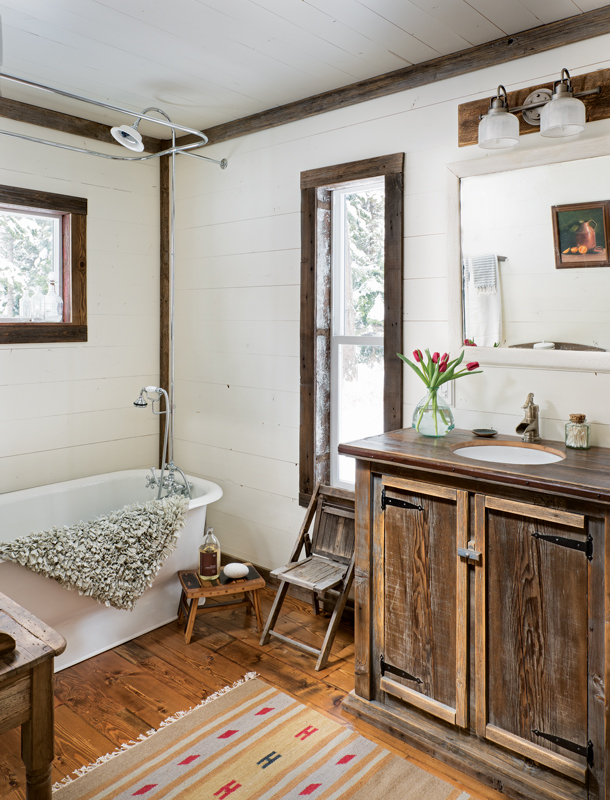 Re-enameled and outfitted with antique-style hardware, the tub sits flanked by windows in the spacious bathroom – a perfect vantage from which to watch the snow come down in winter or the evening light fade to dusk in summer. 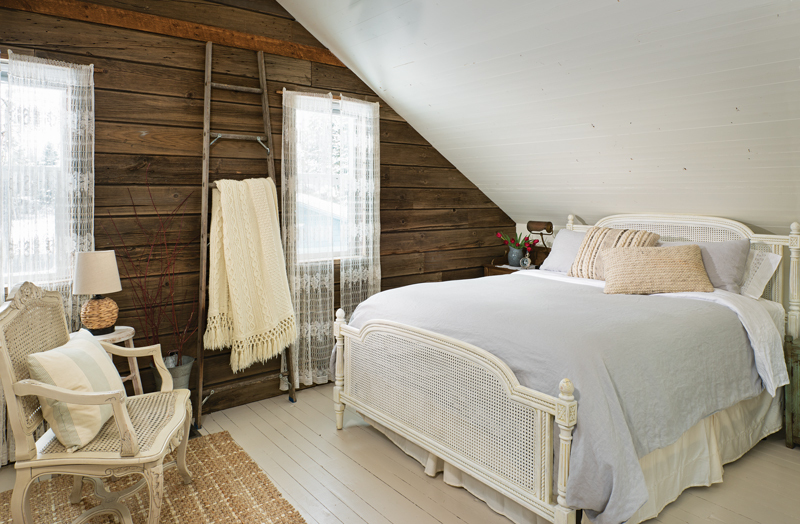 By mid-2015, the Swan River Farmhouse was beautiful, cozy and inviting – and ready for guests other than the McAfees themselves. 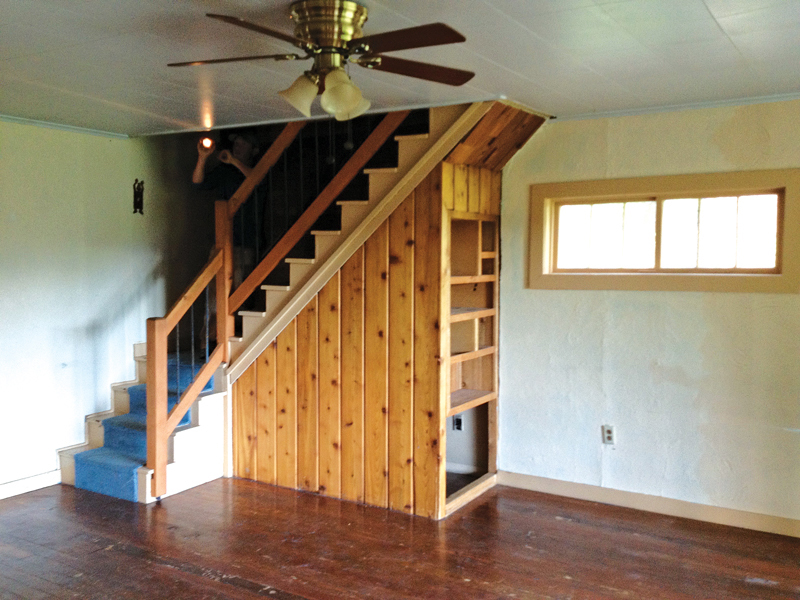 “The intent was always to rent it out in the summer, at least initially,” says Felesha. Perched on the north end of Flathead Lake, the largest freshwater lake west of the Great Lakes, Bigfork is a bustling tourist town in the warmer months, drawing vacationers from around the state and beyond to swim, boat, fish, hike, paddle the rivers and enjoy the myriad cultural amenities in the area. But, Felesha says, she doesn’t really mind missing out on summer: “I love how quiet and sleepy the town gets in the off-season. 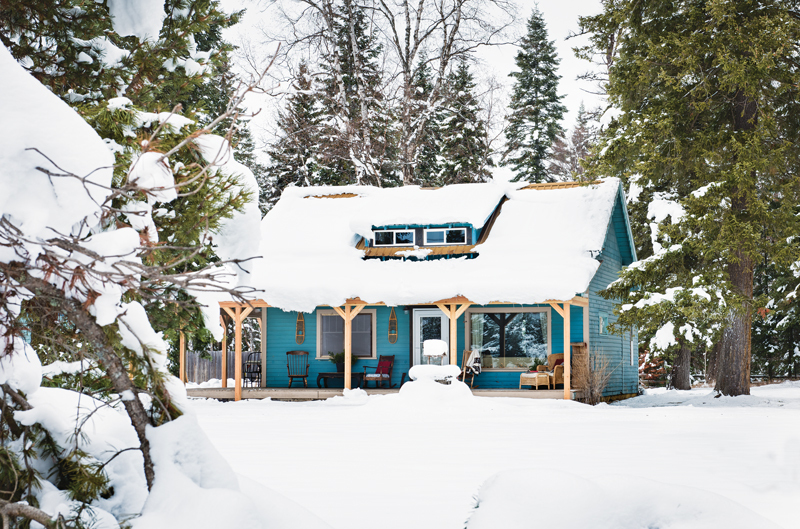 Winter is our time, and we get to come down to hang out, go cross-country skiing with our dogs, and work on projects to get the place ready for summer again.” Because they live full-time in nearby Whitefish, the trip to the cabin is an easy jaunt to make for a weekend getaway but far enough to feel like a true vacation home. Bigfork, Mont., is a small town on the very northeast margin of Flathead Lake, the largest freshwater lake west of the Mississippi. With a population just above 4,000, it’s a small town with plenty of charm, and a disproportionate number of cultural attractions: The Bigfork Summer Playhouse, known as the “theater by the bay,” has been consistently providing top-quality theater for nearly 60 years. Just up the road, the Bigfork Art and Cultural Center showcases the work of more than 250 member artists, and also provides classes and openings. Bigfork even plays host to its own award-winning distillery, Whistling Andy, known for its rum, gin, and whiskey, made from Montana-grown grains. 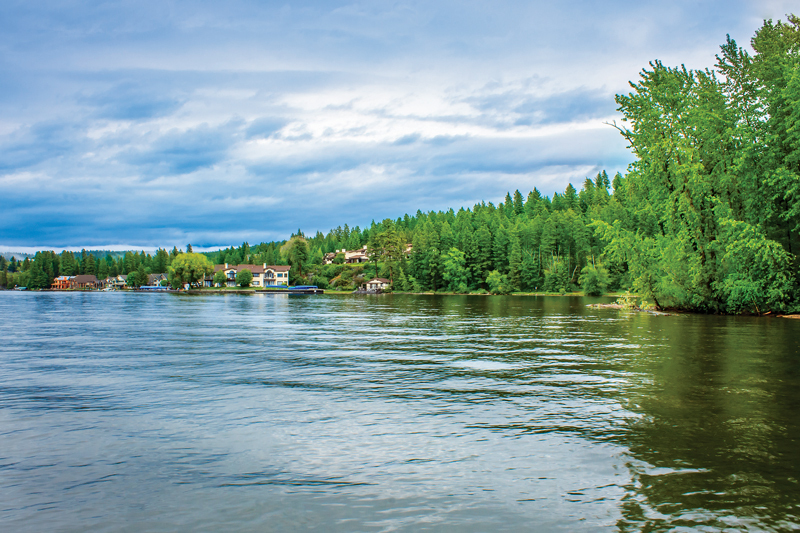 Perhaps most importantly, Bigfork provides access to countless outdoor recreational opportunities, including swimming, boating, sailing, rafting, fly-fishing, stand-up paddle boarding, hiking, Nordic skiing, alpine skiing and more.